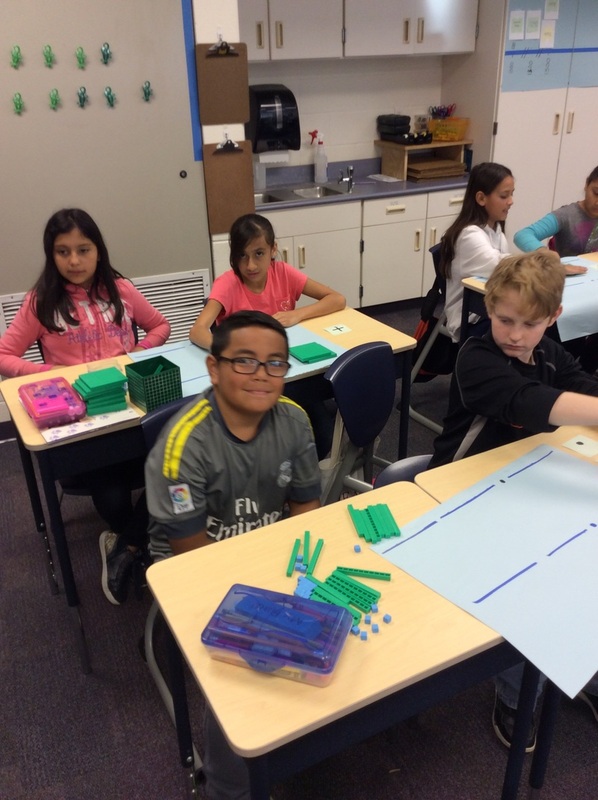 Math students learning how to add decimal fractions using manipulatives. 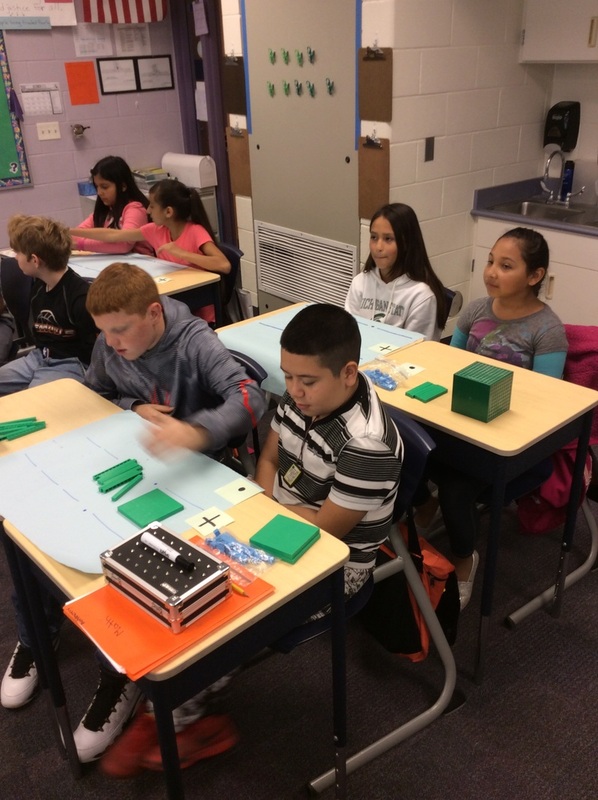 Ms. Johnson teaching a lesson on adding decimal fractions. Making a fold-a-ble to study explorers. Class song: Everything is awesome when you're part of a team. Lets stick together!